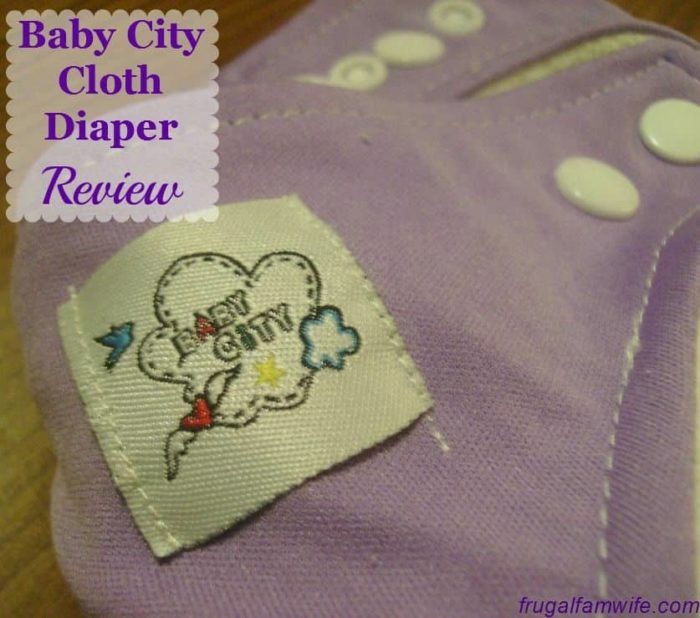 This Baby City cloth diaper review will help you decide whether these ultra-cheap diapers are for you! Possibly the biggest arguments against cloth diapers is the prohibitive start-up cost. Unless you’re happy to go the old pre-fold and pins route, that is. That’s why I was excited to find Baby City diapers on eBay. Could it really be possible to get diapers so cheaply? The reviews were mixed, so I decided to order one diaper and find out for myself. The Baby City diaper is a one-size adjustable, pocket style diaper. The outside is made using polyurethene laminate material and plastic snaps. the inside consists of microfleece. The sewing threads, and even a few scraps are still all over the diaper. I suppose skipping the clean-up step in production would help keep the cost down. Speaking of threads, the stitch size is fairly large. This makes for faster sewing, again, keeping the cost down, but could cause the stitches to come apart sooner. The diaper is very soft. 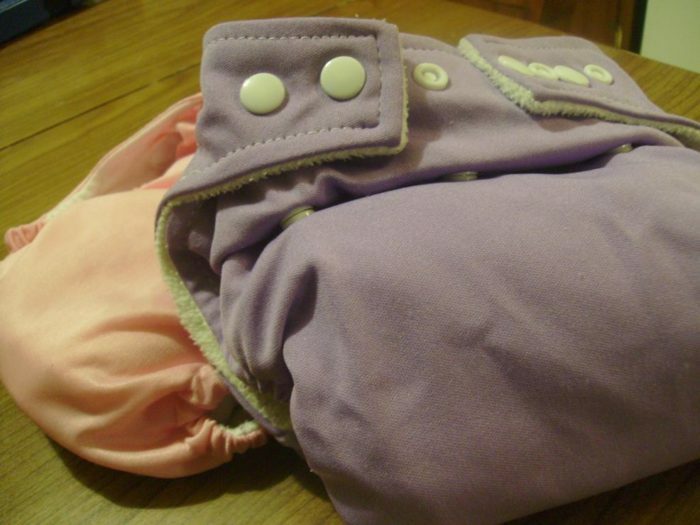 My other PUL pocket diapers are stiffer, and more heavy. It’s also light. Both the shell and the insert seem less heavy than my other diapers. The snaps are smaller than my other diapers, which could hamper durability. On the upside, they’re easier to unsnap that way. The pocket is only open at one end. That is pretty normal with pocket diapers, and one of the reasons I favor Smarti Pants and Diaper Safari over other brands. I like the double opening of the pockets which makes shaking out the insert prior to washing unnecessary. The insert is lame. It’s a little quilted cotton thingy. Hardly any capacity here at all. This at least partly explains why the diaper seems so light. As it turns out, the entire diaper is slightly smaller than my other one size diapers. That explains why the shell is lighter. I also think the PUL is a bit thinner. Of course the smaller size is just fine for Haddassah, and I must say, it fits her in the legs nice and snugly. The fit around the waist is, of course, adjustable. I’m very happy with the elasticity of the back, and so far, as with other elastic-back diapers, haven’t had any leakage of stinkyness. For Garrett, who weighs 35+ lbs, the fit is obviously a bit tighter than the Smarti Pants, but it does fit well. Microfleece interior – I personally like the look and feel of microsuede, but some babies react to it, so microfleece is actually safer. The doubler – It’s trash, I use prefolds instead. single end opening. They’re easier to stuff with a double opening. I have heard that Baby City diapers have a habit of either lasting a long time – as any high-quality cloth diaper would – or delaminating right away, and that you can expect up to a third of them to delaminate. Indeed, that has been our exact experience. After using my first Baby City diaper for several weeks, I decided to go back to ebay and see if I could find any diapers sans doublers/inserts. I ended up buying two for less than $2.00 each. Before I received them, my first diaper delaminated, causing me to regret my three-and-a-half dollar purchase, but I’ve been using the two new diapers for over two months now and absolutely love them! If you’re a parent on a budget who is considering Baby City diapers, I say go for it! What do you think? Have you ever tried Baby City diapers? I got two baby city diapers off eBay in an attempt to switch out some of my velcro happy heiny’s to some snap closures. They did have a lighter feel to them, which I didn’t mind but they both delaminated right away. I will say if you go this route always use cold water when washing. I like to use hot but that totally did in the first pair and then I tried just doing a warm wash with the second one and that was even too much for it, so stick with a cold wash. Needless to say I do not recommend these, in the end I have decided to convert my velcro closures to snaps as my happy heiny’s are still in good working order otherwise, and this is kid #3 to use them, so it is definitely worth spending a little more up front. 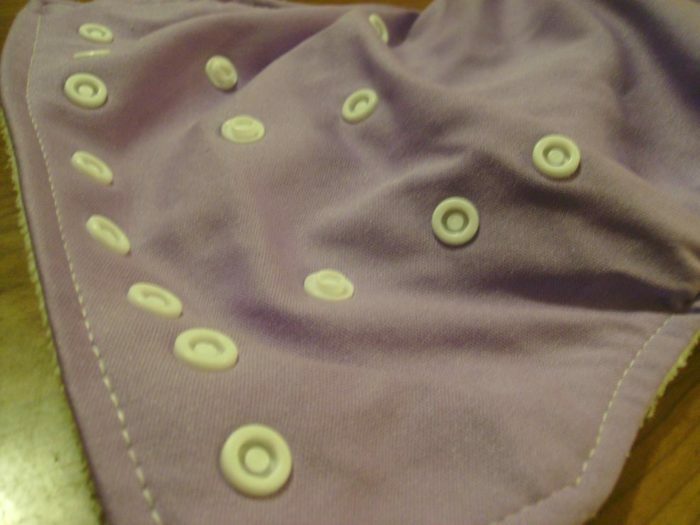 The baby city ones that I hav tthat have delaminated will be used for swim diapers. I have had my baby city diaper covers and inserts for about one year now. I got them when I knew I was going to use cloth diapers with my second child born one year ago. I have not had them delaminate once. I have washed them in an older washing machine on the hot/cold setting for all my diapers. I do suggest however to air dry them, definitely gives them a longer period of life. Yes the inserts are flimsy, but they are great if you triple layer them or use them with other prefolds or inserts from different brands, just set the inserts on top or bottom and provide an extra layer of thirst for your baby or toddler. I suggest Econobum as another brand to use with these inserts. Econobum is also very cheap but I love them!